… packing meals at Philadelphia’s Metropolitan Area Neighborhood Nutrition Alliance (MANNA) kitchen, sponsoring lemonade stands to benefit Alex’s Lemonade Stand Foundation‘s fight against childhood cancer and helping Cradles to Crayons provide children at risk with fully loaded backpacks with which to start the school year, to being a sponsor of Junior Achievement‘s Philadelphia Business Hall of Fame Event, being a supporter of Innovative Technology Action Group (ITAG) programs and hosting food drives for the Chester County Food Bank. Kinka himself is a member of the steering committee of Telecom for Change, a 501(c)(3) recognized organization comprised of telecom agents and carriers that dedicate their time and resources to providing aid to grassroots charities across the U.S. As the result of a casual conversation with the organization’s co-founders, Angie Reif Tocco and Laura Chalk Dashney, (who also co-founded LanYap Networks) while walking down Bourbon Street when in New Orleans to attend Cloud Partners, a Channel Partners event (now Channel Partners Evolution), Kinka has been involved with Telecom for Change since that night in 2014. Since its inception, the group has raised $278,000 for local grassroots charities that are often overlooked and underfunded. Telecom for Change’s donations go directly to the cause rather than to administrative costs. The linchpin of Telecom for Change’s fundraising activities is their annual charity golf event held each year in conjunction with the Channel Partners Conference & Expo in Las Vegas. This year’s event will be held April 16, 2018. “It’s an unbelievable event and group,” said Kinka. He explained that each year, Telecom for Change selects “a singular, but pertinent charity” to receive the proceeds from the golf event. This year’s recipient will be one of the Las Vegas medical centers impacted by last October’s tragic shootings at the Route 91 Harvest music festival on the Strip. Kinka emphasized that the Channel Partners community is exceptional in its response to Telecom for Change events and community service in general. “Their generosity with their time, money and resources is incredible,” he said. The program enables Evolve IP to offer an integrated suite of Microsoft cloud services. Cloud-services provider Evolve IP has acquired Webcore Technologies, an Austin, Texas-based MSP, while data-center services provider Equinix gobbled up Nimbo for its professional-services expertise. 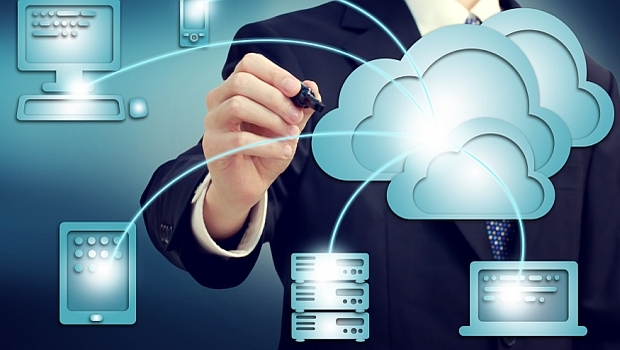 More businesses migrated to the cloud without the help of a third party in the last year, a recent survey found.